HAIM is going on tour. The sister trio has announced several new dates where they will be hitting 15 cities across North America this summer. They shared the new dates on Instagram adding, "annnnndddd we&apos;re just getting started," which could mean more dates will eventually be added. For now, the sisters are set to hit the road across the U.S. including stops at this year&apos;s Governors Ball, Bonnaroo, and Lollapalooza. From there, they&apos;ll head to Canada and even over to Europe for shows in Denmark, Sweden, and Norway. Even better, HAIM has teased new music on Twitter telling fans, "We&apos;ve been in the studio for so long perfecting and trying to get it right. At this point we just want to go out there and play the songs live." The trio hasn&apos;t released a full collection of music since they&apos;re 2013 debut album, Days Are Gone, so new tour dates and new music definitely sound very promising. Check out the teaser and tour dates below. 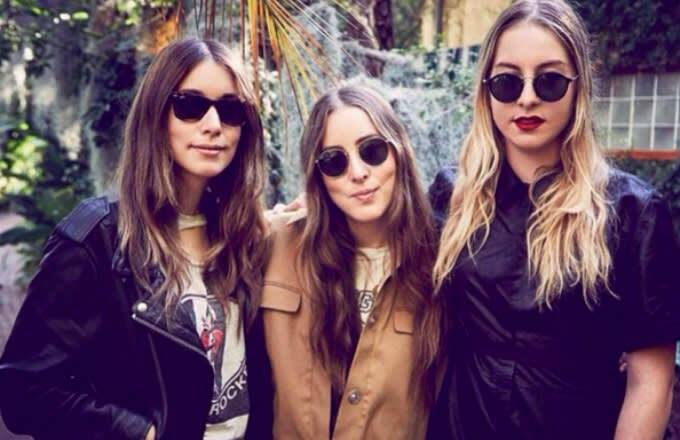 You can also keep up with the sisters on their Beats 1 show HAIM TIME.